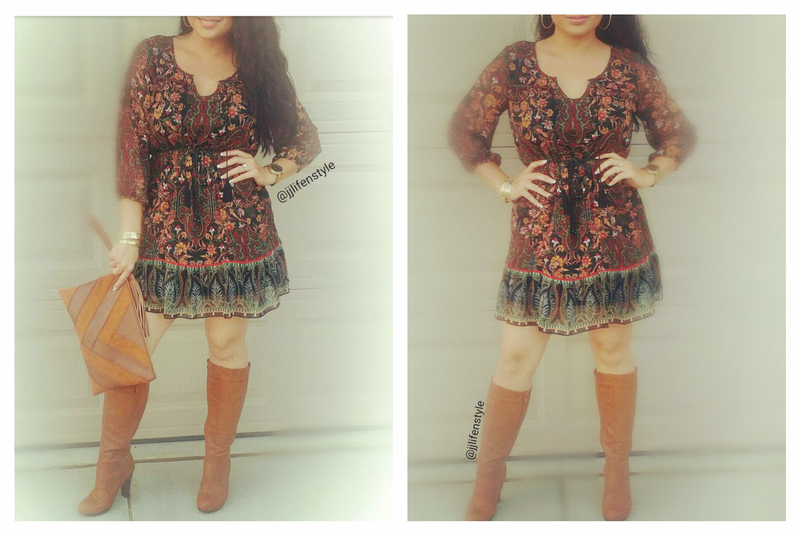 I absolutely love this Bohemian dress. It is comfy and stylish. I love the colors on it because it made it perfect for a great fall outfit. 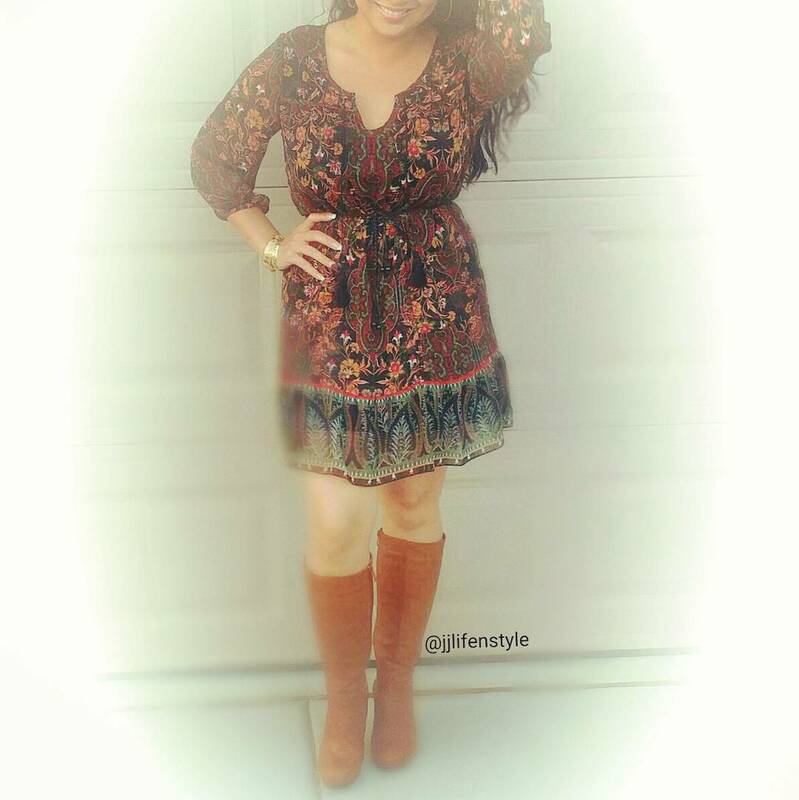 My tall boots went perfect with it to bring out the brown in my dress. I got my clutch from TJMAXX which was such a steal. One side was the chevron patter (click link to see) and the other side was just a solid color. Two looks in one. It is so cute and it was under $20. I added gold jewelry to top it off. Get this look by clicking the link above.